The first round of the design cycle comprised the initial survey of the land and the people connected with it as far as was possible at the time. The field was in a rental agreement at the time and the person renting was not favourable to people walking on the land and in a difficult relationship with the Trust, so that an in depth site survey was not possible. The board of trustees needed to have a strategy in place for the management of the field after the expiry of the rental agreement. 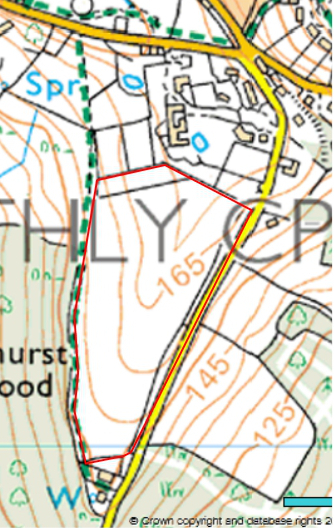 My first survey involved a basic mapping of the site, my personal engagement with the site, and Hoathly Hill Trust and Community’s engagement with the site. Originally acquired in 1972 as part of a vision that the Hoathly Hill Community would be able to grow its own food. In early years it was used by various local farms initially Old Plaw Hatch and later Plaw Hatch Farm as a biodynamic initiative founded by members of Hoathly Hill Community and others. 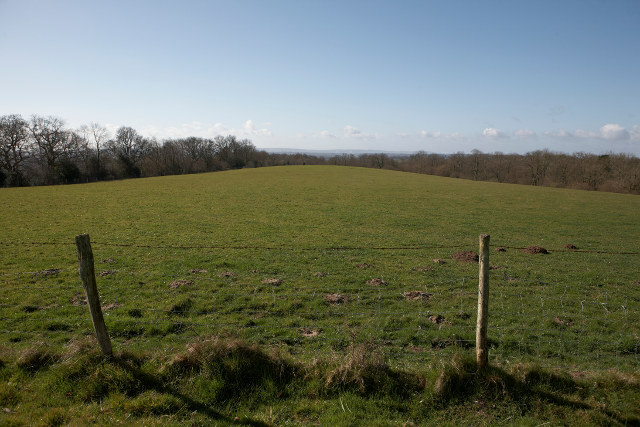 Part of Ashurst Field went on to be developed as a specialist biodynamic herb production enterprise together with other areas of Hoathly Hill. This continued up to end of 1984. Ashurst Field was then again used by Plaw Hatch for grazing up to 2001 when a further attempt for members of Community to do the farming was taken on by a community member. The Stables were erected in 2004 and the Barn in 2006. There were sheep, pigs, chickens and milking cows producing fresh pork, mutton, egg and raw milk. The field yielded a hay crop annually which also made a wonderful community event turning and bring in the hay as well as income for the farm. The applying of the biodynamic preparations has been the other Community involvement along with the enjoyment of the animals on our doorstep. The field is included in Plaw Hatch Farm Demeter certification. connecting with community farm movement nationally, ie Federation of City Farms and Community Gardens, Permaculture Association LAND project, Biodynamic Land Trust. As a member of Hoathly Hill Community and a trustee of Hoathly Hill Trust, I have been observing the site and community connections to the field for three years. See my other designs, especially the Community Life Pathway. My fellow trustees and I have needed to formulate a strategy to care for the land. I have worked in collaboration with fellow community members, trustees, permaculturalists and biodynamic teachers and practitioners on this design for the field. Personally I see the opening up of this space as a great opportunity for a community environmental educational project. I was not attached to this vision and was very happy to facilitate and support others with their visions for the field as is my role as a trustee. social legal forms and organisational structures. Hoathly Hill Trust is the owner of the field and responsible for its management. I facilitated a collaborative review of the Trust as a whole (see my Community Life Pathway), which resulted in a Strategic Plan for the Trust. Defining for the field design are the Trust’s vision, values and objects. Hoathly Hill Community members have run many visioning sessions for the community as a whole, including Hoathly Hill Trust and its assets. One recent session is documented as part of my Community Living Pathway as an example.